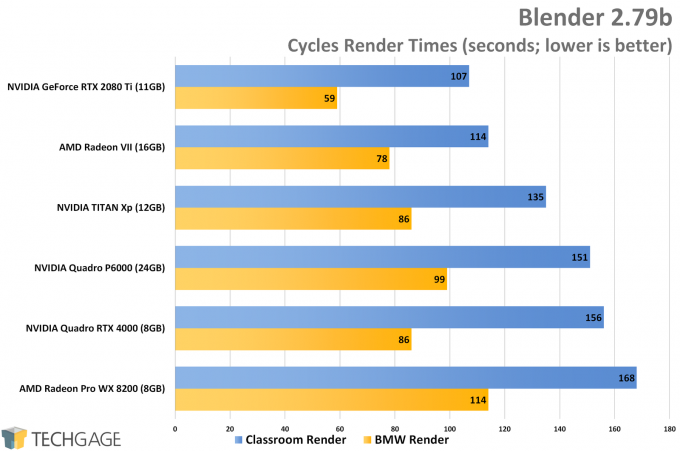 Both AMD’s CPUs and GPUs have been great for Blender performance the past couple of years. In particular, Radeon RX Vega 64 impressed us quite a bit at its launch, much like the Radeon VII is impressing us with the performance seen here. NVIDIA’s top dog pulls ahead, but it also costs at least $300 more, so all things considered, VII is a strong contender. 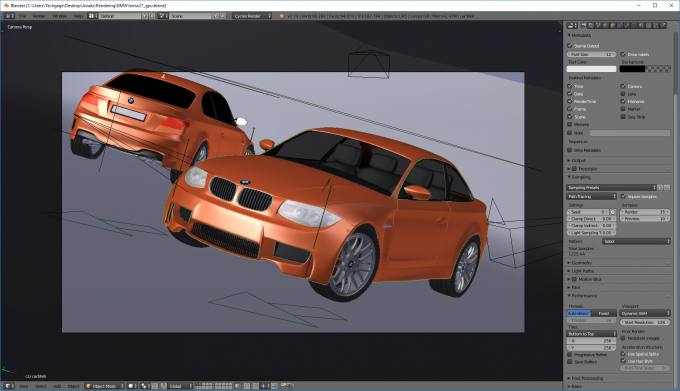 The release of Blender 2.80 is right around the corner, and we plan on digging into its performance once it drops. Unfortunately, our initial performance tests with the 2.80 beta have been a miss, although more testing needs to be done. In particular, heterogeneous rendering (CPU+GPU) is enabled by default, and in our initial tests, using that mode is slower than using the GPU by itself. We’ll dig in a lot more soon, but if you’re reading this and have had great experiences with heterogeneous rendering in the 2.80 beta, please comment below to let us know. During our product briefing, AMD mentioned that LuxMark performance on the Radeon VII is good, and it gave us an example of just how good. We didn’t really expect it to best the 2080 Ti, which already impressed the hell out of us with its performance a couple of months ago. 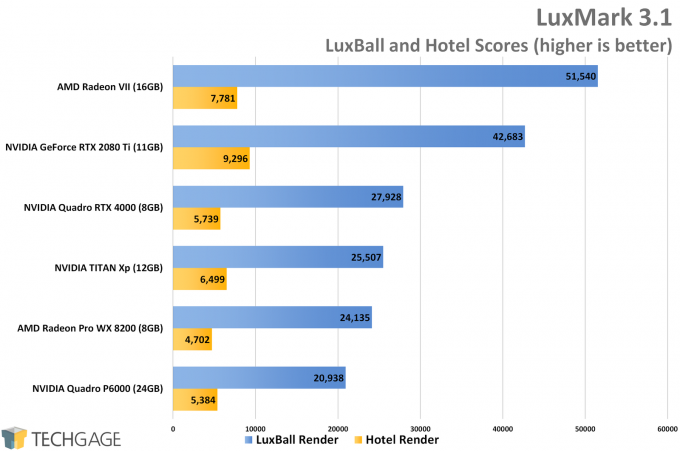 Here, AMD didn’t just beat the 2080 Ti with the LuxBall render, it leaped ahead. 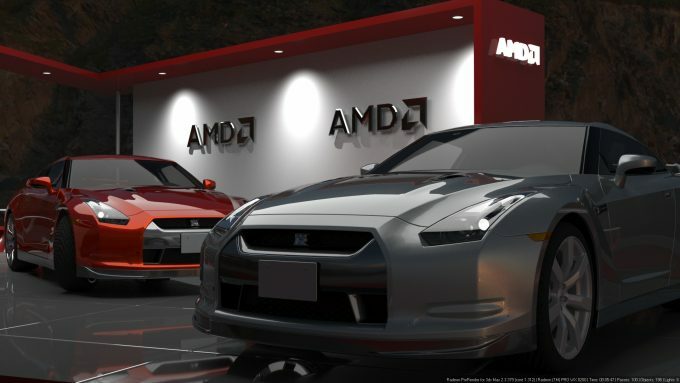 It’s humorous that when Ryzen launched, AMD’s best bud quickly became Cinebench. 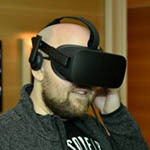 Now that Radeon is so hopped up on compute steroids, LuxMark suddenly has the company’s interest – and really, who could blame it? This performance is outright amazing. What relevance does LuxMark have, you ask? It’s relevant to those who use the open-source renderer LuxRender, now known as LuxCoreRender due to project abandonment. If you use Blender, you can plug LuxCoreRender in, or use standalone software to go the fully manual route. 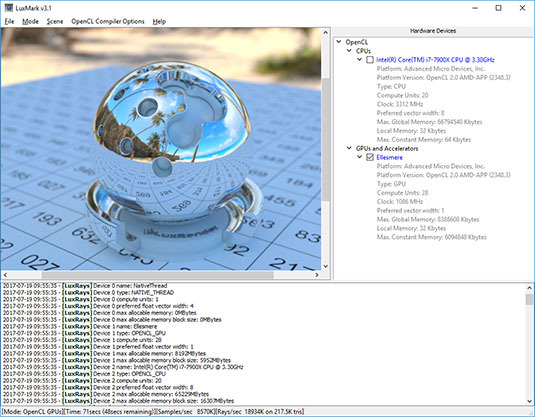 It’s strange, but AMD’s own Radeon ProRender performs better on NVIDIA GPUs than Radeons, something we found out in our look at the WX 8200. 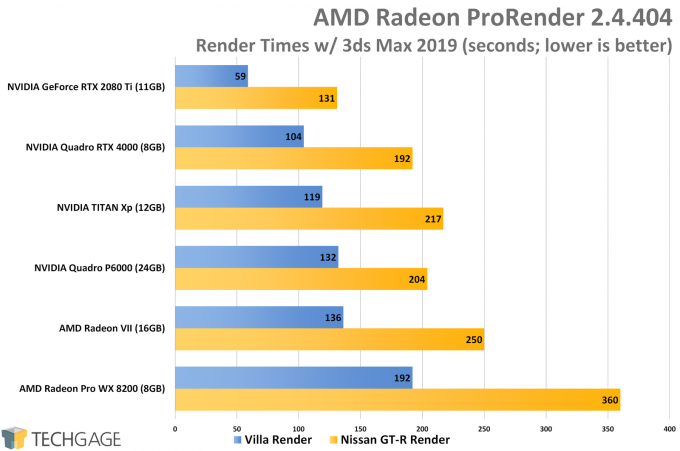 There’s something about NVIDIA’s RTX that accelerates this workload, based on both the 2080 Ti and Quadro RTX 4000 result. But, even the older Pascal GPUs perform better than AMD’s latest and greatest.